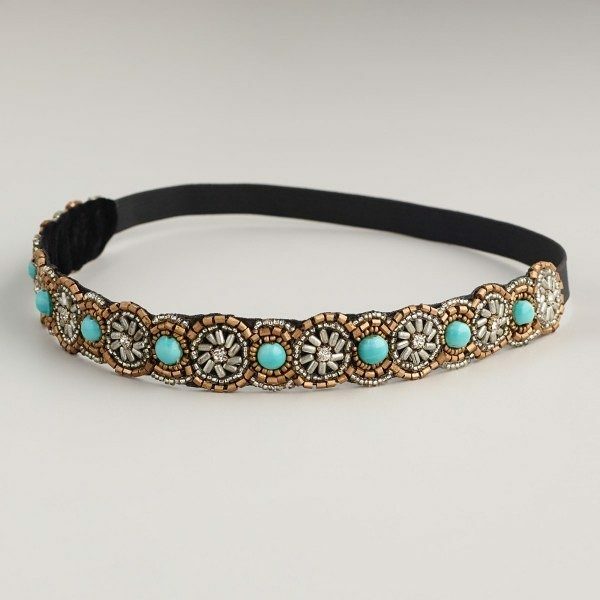 Turquoise Beaded Headband Only $5.83! You are here: Home / Great Deals / Turquoise Beaded Headband Only $5.83! Artisans string thin seed beads before applying them onto fabric to create this headband! This Turquoise Beaded Headband for Only $5.83 will be a great addition to your spring and summer look!